On August 19th, 2016 in the Center for Civic Engagement , the Civil Forum was held by the initiative and support of the Fund of Women Entrepreneurs and Gender Equality Network. 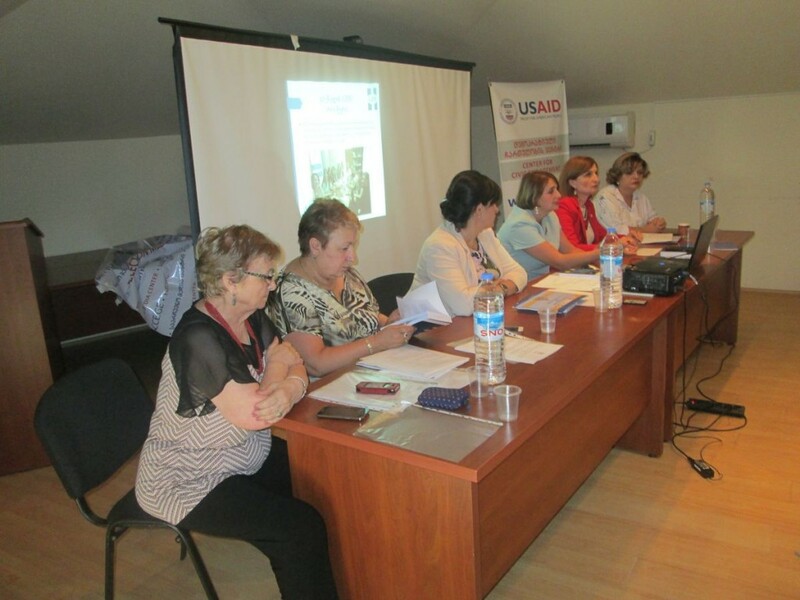 A meeting subject was – “Women candidates in policy”. At the Civil forum took part: Women candidates: Lela Sebua and Nino Oniani; Representatives of civil society, local government of: Tkibuli, Zestafoni, Baghdati, Kutaisi; Representatives of : non-governmental organizations, government of Abkhazia, media, Imereti Regional Division of IDPs. The purpose of a meeting was: promoting of women of candidates and their representation to the society, tor increase their participation in a parliament of Georgia. 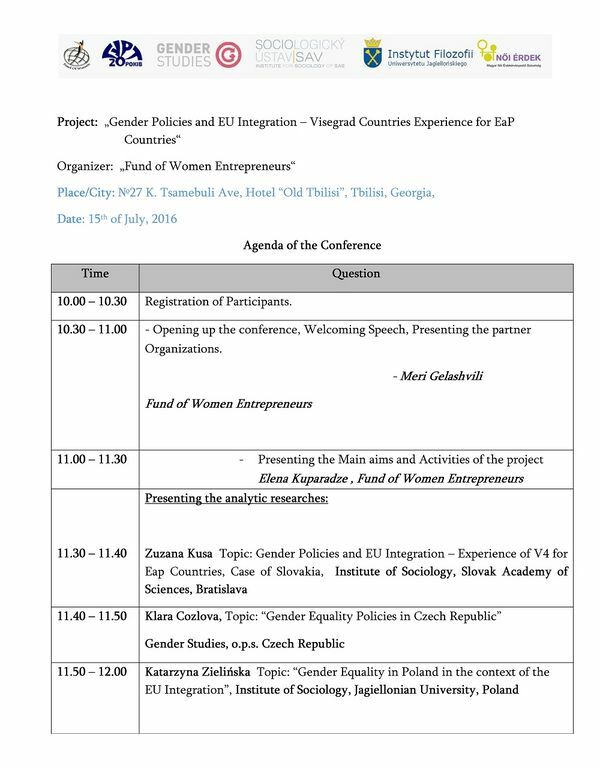 On July 15,2016, the Fund of Women Entrepreneurs in the frame of the project “ Gender Policies and EU Integration- Experience of V4 for Eap Countries”, will organize an international conference, (which will be held in Tbilisi ,hotel “Old Tbilisi” conference hall at 10:00). See the press release and conference agenda. On June 26-27, 2016 the representative of FWE- Diana Kurashvili has taken part in the conference organized by the National Platform of the Eastern Partnership of Georgia. The conference purpose was development and approval of the action plan of the signed Memorandum of partnership between committee on integration of parliament of Georgia with Europe and a civil forum of the Eastern Partnership of a national platform of Georgia. 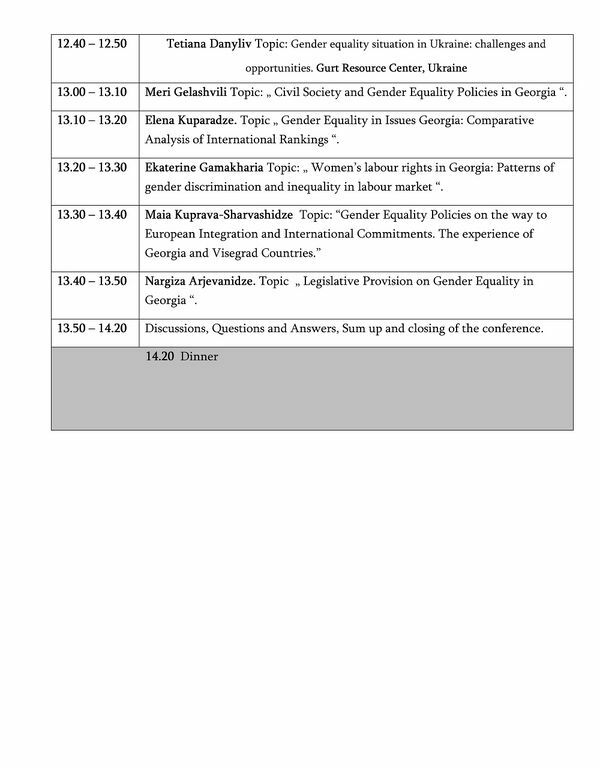 52 NGO of Georgia, representatives of the Parliament and government institutions have taken part in a conference. 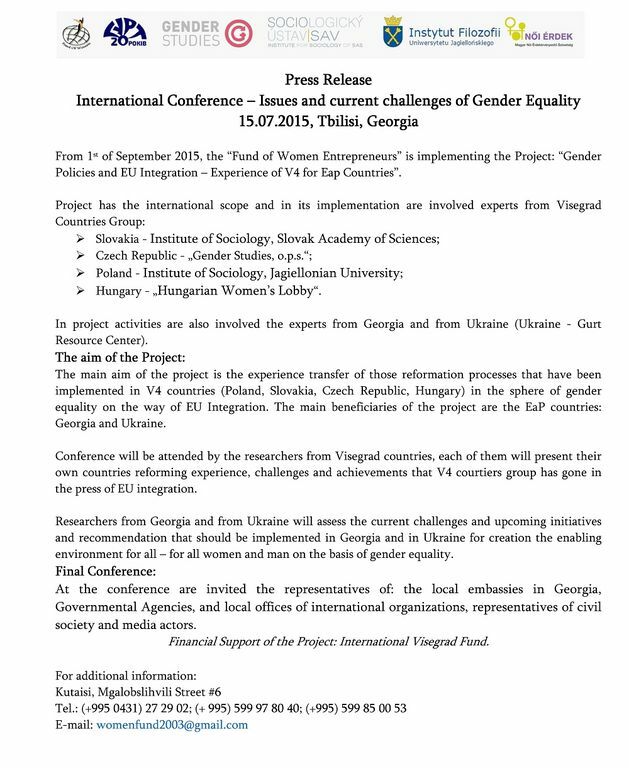 Conference has once again revealed need of cooperation of civil society and structures of the power that undoubtedly will help effective implementation of the taken liabilities of the agreement on association and harmonization of the legislation of Georgia with the legislation of the European Union. On June 20, 2016, in a gallery of TBS Bank the event devoted to the international day of IDPs has been held. 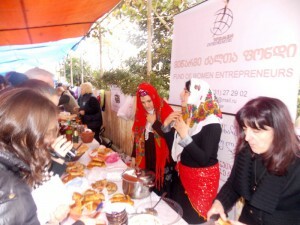 The Fund of Women Entrepreneurs” was one of the participant of action. 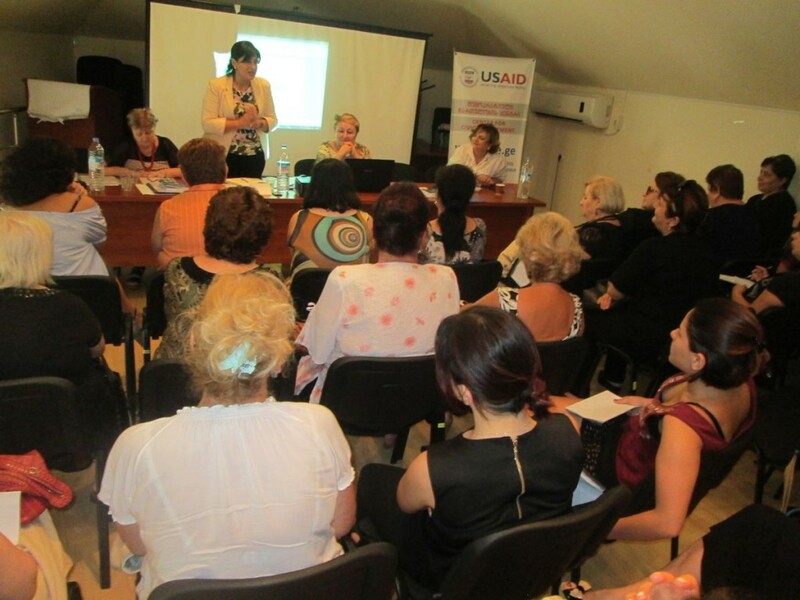 The initiative belonged to the “Girls and Women for Democratic Development” union created in Fund “Sukhumi”. At evening activities of communities of IDPs with his everyday life have been provided. 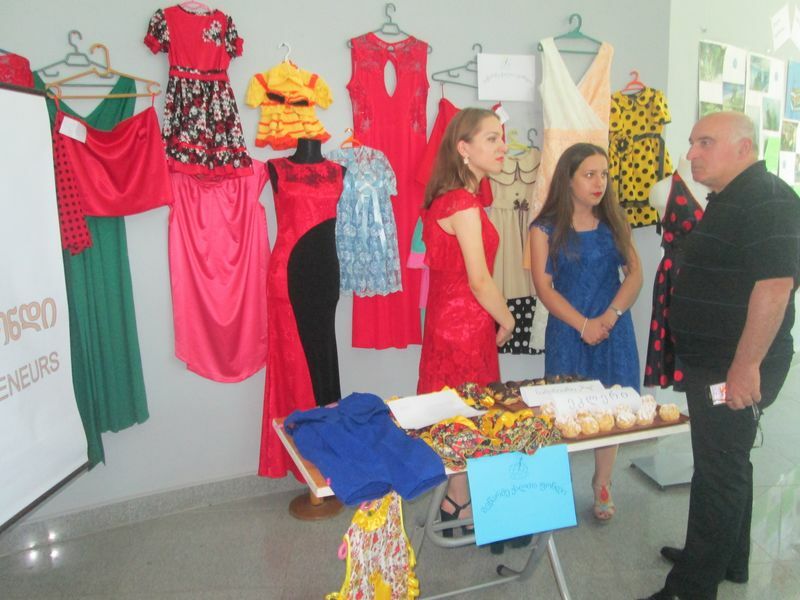 Beneficiaries of “Fund of Women Entrepreneurs” and youth from public college “Iberia”, have provided their products. At evening the hope has replaced bitter memories, that day will come when activity of civil society will be an intermediary between the parties – for recovery of trust. 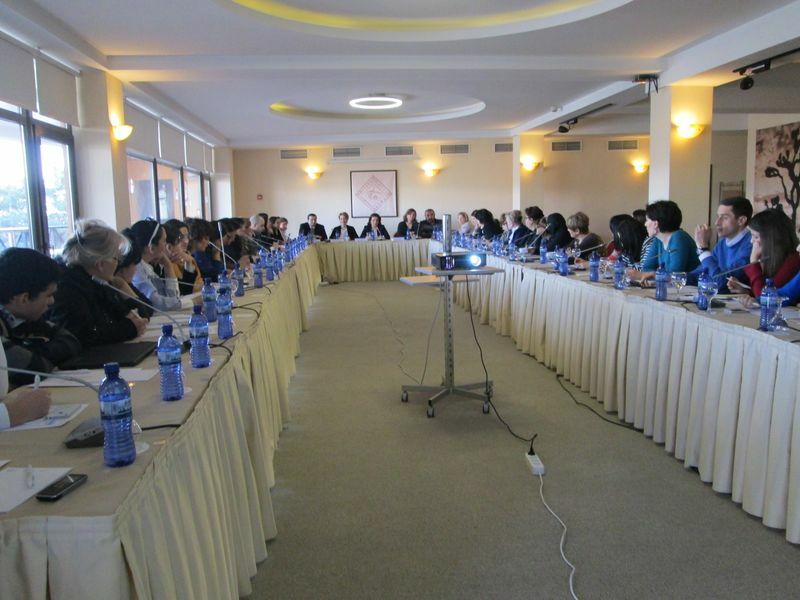 On December 21, 2015 Women Entrepreneurs Fund took part in a conference on- Implementation of the National Action Plan in Georgia, on a topic: “Women, Peace and Security” which was held in the hotel “Bets” .The United Nations women’s organization – Erika Kvapilova, Chair of the Gender Equality Parliamentary Council – Manana Kobakhidze, the prime minister’s assistant for human rights and gender equality issues – Sopo Japaridze, Deputy Public Defender Paata Beltadze, as well as various NGOs took part in a conference. On the meeting was a presentation on “Women, Peace and Security National Action Plan presentation. At the end of the conference was a discussion and the recommendations of the National Action Plan was worked out. Women Entrepreneurs Fund presented its initiative to create Gender Equality Initiative Support Group. On December 15, 2015 in Tbilisi was held the fourth Social Entrepreneurship Forum, was organized by the Eurasia Partnership Foundation, the Center for Strategic Research and Development and by the Tbilisi City Hall. On the forum was discussed various issues about development of social entrepreneurship and was presentation about results, achieved by non-governmental organizations from 2009 to 2015. Since 2009, Women Entrepreneurs Fund, with beneficiaries is one of the active participant of the abovementioned forum. 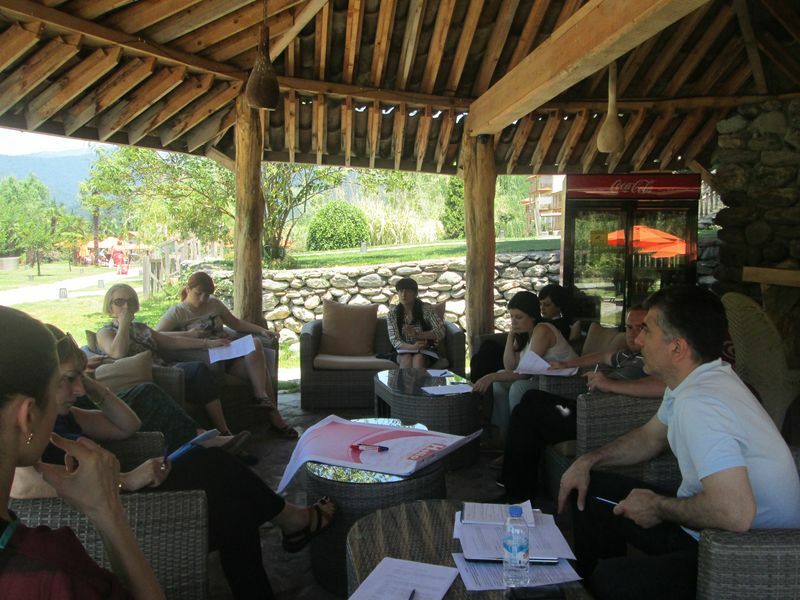 There were discussions and group work and was revealed the directions of future cooperation. 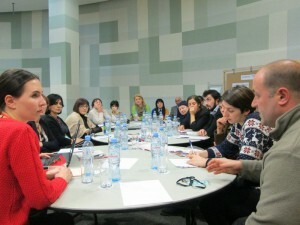 Representatives of governmental bodies: Ministry of Economy, the Ministry of Agriculture, Ministry of Culture, Sports and Youth and Paul Zellman volunteer from Germany and also representatives of non-governmental structure: a / n “Koda”, the “Abkhazia”, ​​Rustavi NGO “ISCR”, “Migration and Employment Center” and others expressed their will of cooperation with Women Entrepreneurs Fund. 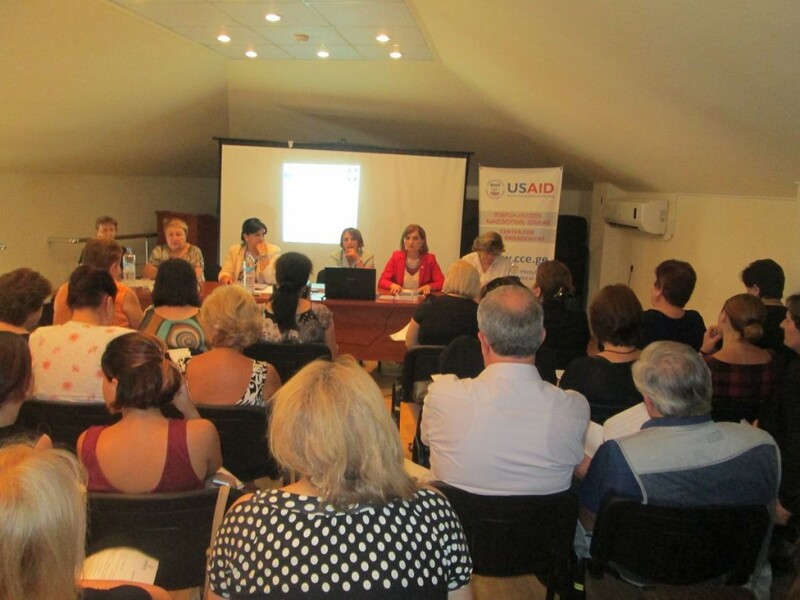 On October 30, 2014, it was held forum organized by the Fund of Women Entrepreneurs: “Unemployment problems in Georgia and tights of the employees”. 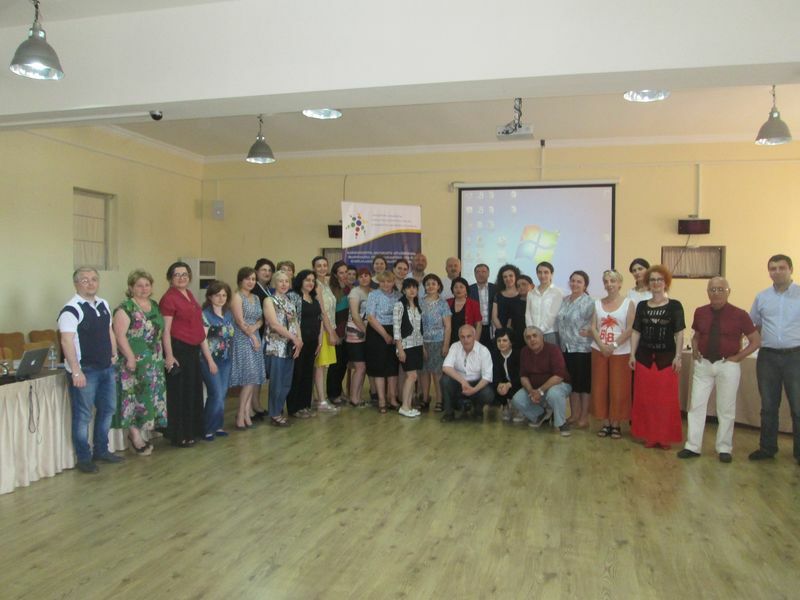 The forum was attended by representatives of NGO, Poti self-government, media and Mayor office; teachers and trainers and pupils also of ”School of Women” of the Fund of Women Entrepreneurs. IDp and local women got information about the main problems of the employment and the rights of the employees. They discussed the current problems in Imereti and Samegrelo region and draw recommendations about overcoming the problems. At the end of the meeting, the second course graduates of the “School of Women” were given certificates. On July 23, 2014 a forum of Georgian cooperation was held in Tbilisi. 61 representatives from Georgia (including Mrs Meri Gelashvili, representative of FWE)32-from Russia and 11-from international organizations took part in it. The work was planned very interestingly, ficilitators as well as speakers successfully fulfilled taken responsibilities. Crucial issues were raised by the Georgian representatives based on the analysis of Georgian-Russian relation. Despite the mutual claims, everybody agrees that the dialogue is essential and this process should be directed by Georgian and Russian NGOs. At the end of the day work of the forum was assessed and one of the organizers Ms Maria Kanevskaia named a project with a set of recommendations for future work that will be commented by the participants and will be published as an untied document. 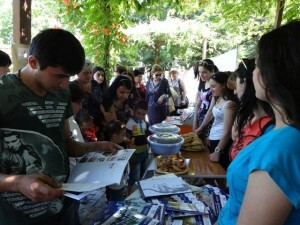 On June 20, 2014 an exhibition-forum “From Abkhazia – to Abkhazia – from rich past – to decent future!” was organized in the park of Veriko Anjaparidze to celebrate IDPs international day. 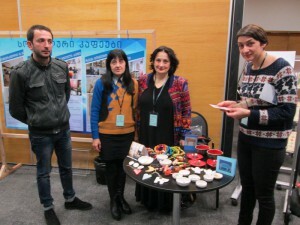 The exhibition, organized by the NGOs working on IDP issues in Kutaisi including “Fund of Women Entrepreneurs” was attended by the representatives of Supreme Council of Autonomous Republic of Abkhazia and Ministry of IDPs. Mr. E. Gvazava, chairperson of the Supreme Council of Autonomous Republic of Abkhazia, awarded NGO representatives by the “Certificate of Honour” for the support of their compatriot, whilst Ms. T. Chavchavadze, deputy chairperson of Ministry of IDPs of Georgia awarded them by the “Certificate of Thanks” for their active participation in the festival. 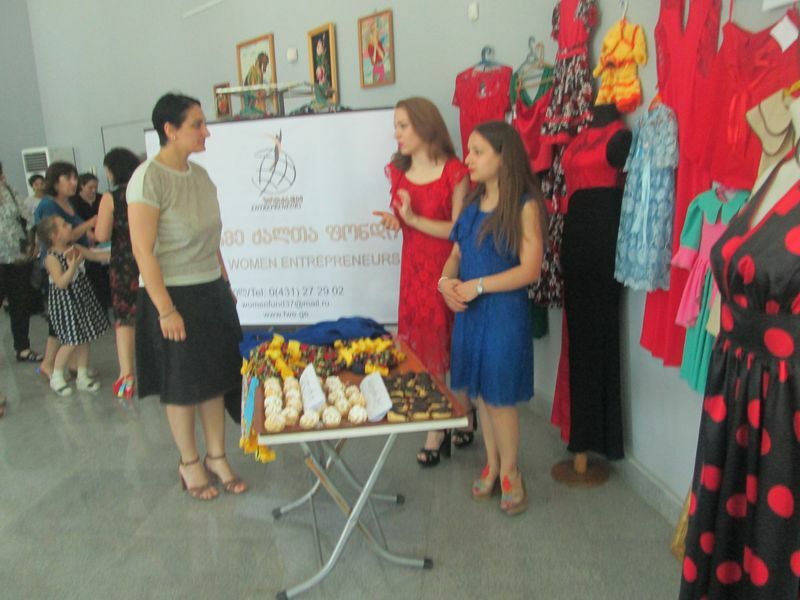 Handcrafts and products made by the beneficiaries of the FWE were displayed at the exhibition. The Literary-musical and quiz shows with the active participation IDP children were held at the end of the meeting. Survey on the following directions “Raising awareness’’, attitudes of society towards “Democracy”, “Security and Stability in the Region”, “State Strategy”, “Confidence Building and Public Diplomacy”, “Women Participation in Decision-making Process”, was carried out by two women non-governmental organizations in their societies. 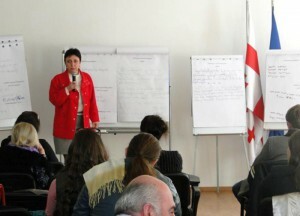 The organizer of the conference held on February 21, from Georgian side was the Association of Wives of War Disabled Persons and Widows (chairperson Manana Mebuke). Leader and peacekeeper women and those who are involved in “Finding Peaceful Ways” from both Georgian and Ossetia sides participated at the conference. Both governmental and non-governmental organizations, civil society and foreign (from international organizations) guests were involved in the working of the conference. 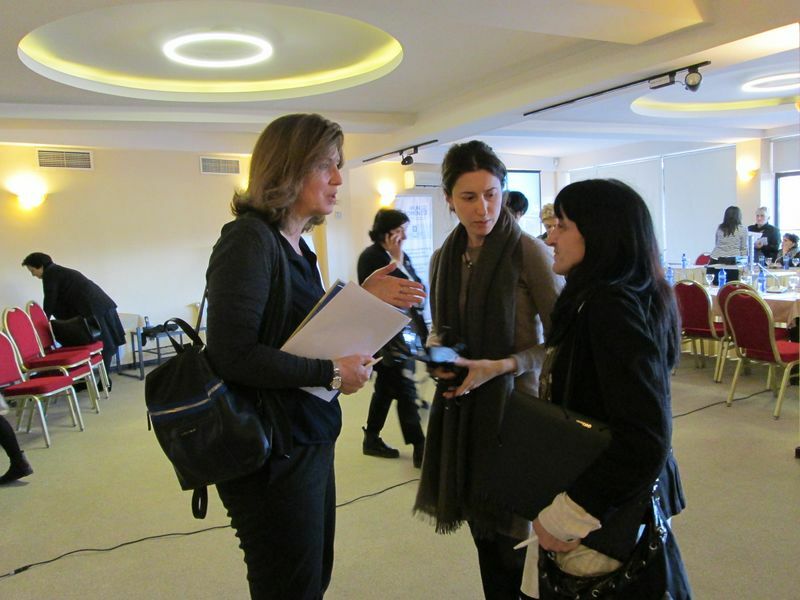 On March 30, 2013 representatives of the Fund of Women Entrepreneurs, Diana Kurashvili and Tinatin Zakarashvili, participated in the Civil Forum, which aimed to engage citizens in identifying and finding solutions to acute problems. Based on the forum methodology, the participants continued to discuss the pressing issues of the city in the working groups. The Forum concluded with the presentation of specific projects on education, social security, infrastructure, tourism and culture, developed by the forum participants. 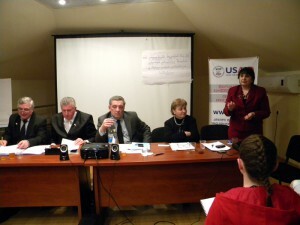 On March 29, 2013 a conference on the topic “Unused capacities of the conflict resolution development and Perspectives of transformation processes” was held in the Center for Civic Engagement in Kutaisi. Mr. Giorgi Volski, a chairperson of the “Temporary Commission on Territorial Integrity Issues” and the representatives of Abkhazia and South Ossetia regions, local NGOs, civil society and Women’s Union-Women’s Network on Gender Equality were participated at the conference. At the meeting they identified considerations and combined opinions on the existing recourses and unused capacities, which will accelerate the transformation of conflict situations. 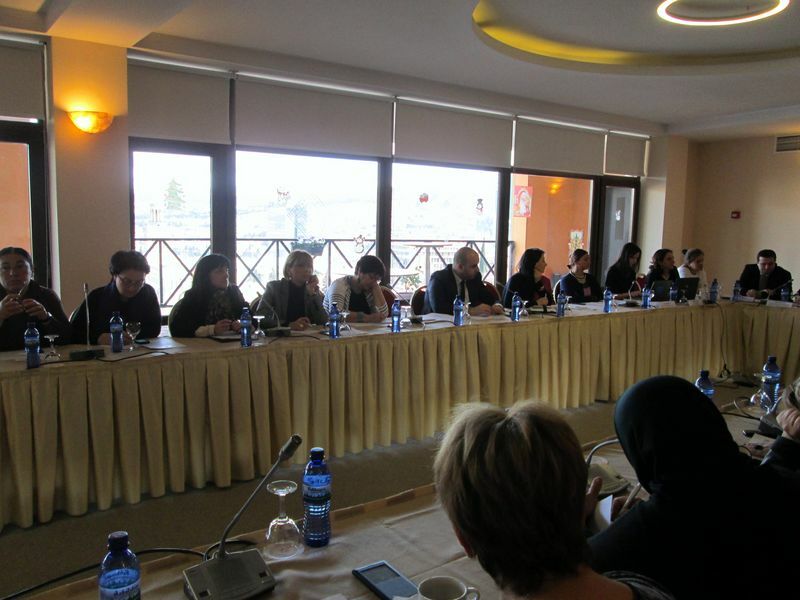 The conference was arranged by the Fund of Women Entrepreneurs, Association for “Peaceful and Business Caucasus “, “Union of teachers Education and Universe”, Fund “Sukhumi” , Kutaisi branch of ”Georgian Young Lawyers’ Association ”. On November 25, representatives of civil society, international and national NGOs, local and central government officials gathered in Khurcha, a village adjacent to Abkhazia. The participants once again paid attention to the diversity culture, national and regional differences which enriches and makes our country more attractive. The meeting gave a possibility to share a message on peace and security to the friends and partners in Abkhazia. 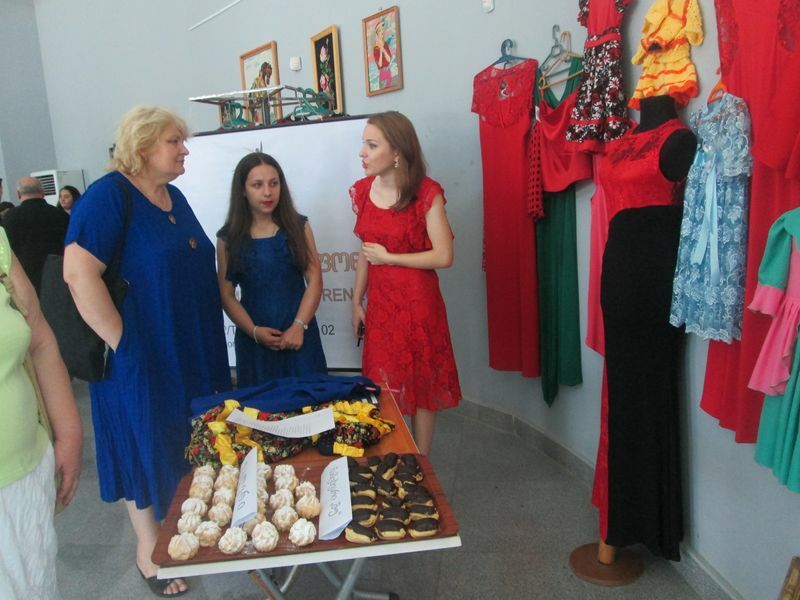 Fund of women entrepreneurs participated in the forum-exhibition and presented its beneficiaries’ works. The Meskhi representatives from Ianeti, one of the regions of Georgia – Leida Kamilova, Leila Khozrevanidze and Maia Ibragimova – were dressed in national costumes and represented their culinary products. Lots of people were around the FEW’s group: some journalists were taking interviews, representatives from the international organizations tried to get more information about our work, while viewers were writing down some recipes from our beneficiaries. Particular interest was raised by the fact that these people were Meskhi and, even though being sent back to their homeland, they are not integrated in local community. For them the most important is the chance to show their folk culture and feel themselves as the part of the society where they live now. The corner of “Meskhian cuisine – Samtredia-Ianeti Settlement” was in the center of media attention and on the same day TV “Info 9”, “rioni” broadcasted the news on their channel. 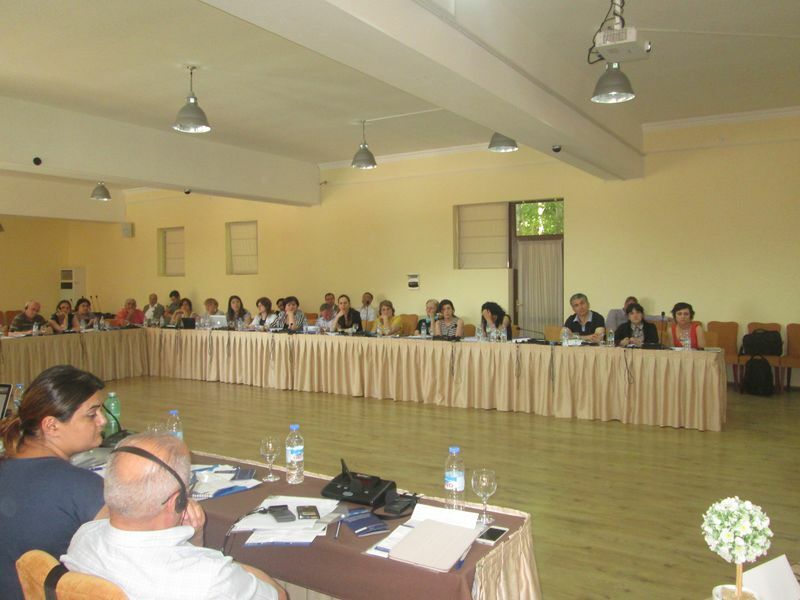 On October 7, 2012 the meeting of NGOs was held in Kutaisi, hotel “Bagrati-1003” with the initiative of resource centre called “SALTO EECA”. 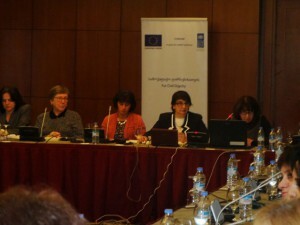 The main goal of the meeting was the presentation of the program “Youth in Action” and better introduction of the NGOs. At the meeting some foreign and local NGOs were represented, including Fund of Women Entrepreneurs. All the presented organizations have the opportunity to represent their organizations. The stand, with the information of our activities and achieved results was shown by us. We represented our journals “Woman and Business” and “We Are Leaders” and the book “Basics of Small Business” worked out by our fund. We also had the chance to share our working experience to the other participants.